The maternal immune system is central to our investigations. Our work to date is based on myometrial, chorio-decidual, amnion and placental samples obtained in early labour (3cm or less cervical dilation) to discern distinct processes involved in the onset of normal and abnormal labour. 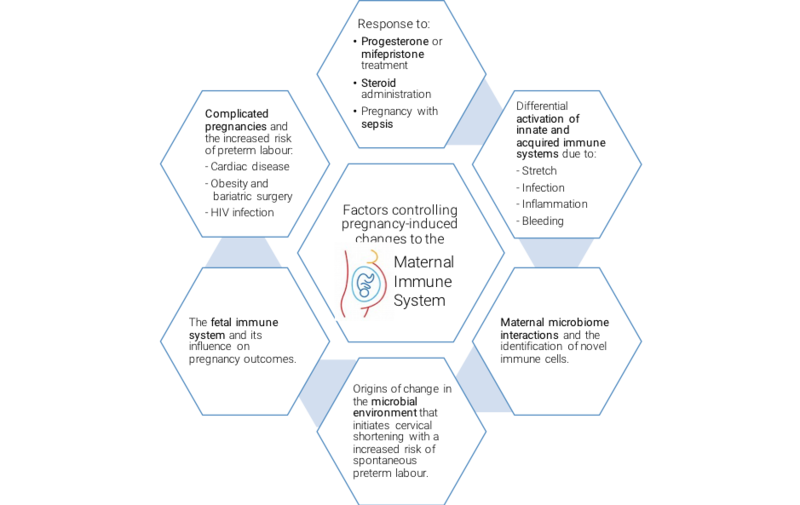 Borne intends to initiate a series of integrated studies that will harness discovery science to accurately study term and preterm pregnancies in order to develop predictive algorithms and establish whether innate and/or acquired immune systems are activated, and the timing of the activation in pregnancies with an adverse outcome. This involves scaling clinical sample collection, processing and scientific analysis at Chelsea and Westminster Hospital. Cervical shortening and the host response to the microbial environment: our work will investigate the origins of changes in the microbial environment that initiates cervical shortening, which indicates an increased risk of spontaneous preterm labour (sPTL). Results from this project will provide insight into novel mechanisms of sPTL and the potential to develop biomarkers for the prediction of sPTL. From this, we will develop protocols to explore cervical shortening and the host response through in vivo modelling.